The ultimate solution for using your 9505A iridium satellite phone indoors and outdoors. JUST dock your iridium phone in our docking station and you can use satellite communications with standard analog phone sets or your company's pbx system. When you need to leave your boat or office, just un-dock your handset and take it with you. Never be out of touch again! "Smart dialing." the docking Station knows the correct format for the country that is being dialed and places the call once the number is entered. Smart dialing eliminates the superfluous "00" did code (no more international dialing sequence). Simple operation. 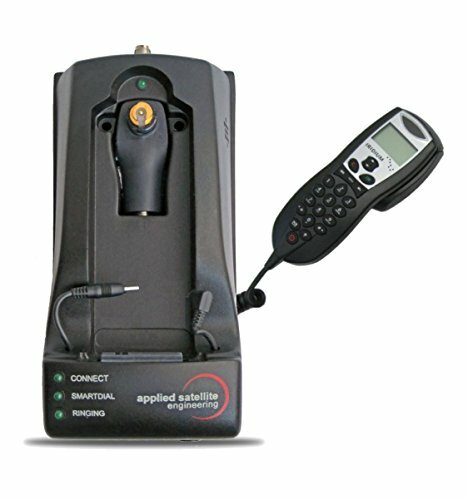 The docking Station combines clear LED status lights with the iridium handset's graphical display for setup, troubleshooting, programming, and operation. Base Station ringer. Audible alert of incoming calls. versatile power input. 10 - 32 vdc input range supports power systems on most vehicles and Marine vessels. An included universal power adapter allows 100/240 vac, 47/63 Hz operation. A DC vehicle adapter is also included. If you have any questions about this product by EAS, contact us by completing and submitting the form below. If you are looking for a specif part number, please include it with your message.